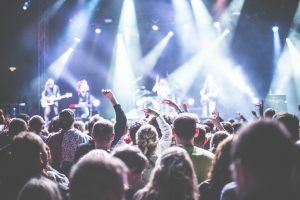 Following a warning in 2017 to ticket vendors that they should ensure advertised prices were accurate, Canada’s Competition Bureau sued Ticketmaster and its parent, LiveNation. The Bureau alleges that Ticketmaster has been offering low prices online or on mobile apps for tickets, but when additional mandatory fees, taxes or charges are added later in the purchasing process, the real price of the tickets ends up being much higher. This practice is known as “drip-pricing” and it can be misleading to consumers because the advertised price is not attainable. Ticketmaster knows that the advertised prices are never attainable, the Bureau alleges, a practice that has continued for years. The increase in the advertised prices is upwards of 20% and has even gone as high as 65%. Different fees are disclosed at different times during the ticket buying process. Ticketmaster uses, in certain instances, a countdown clock that increases pressure on consumers to complete a purchase, all of which caused concern for the Bureau. Having only disclosed all of the fees late in the process, the Bureau contends that consumers have decided to purchase their tickets and do not want to “lose their tickets” once they learn the truth. Interestingly, Ticketmaster uses “all in” pricing in Quebec because it is required to do so by Quebec law. In that province, all of the non-optional fees are included in the advertised price. In September 2017, Ticketmaster increased the prominence of the price with the addition of a “+ Fees” disclosure, which was wholly inadequate for the Bureau in light of the manner in which the extra fees were being applied. The Bureau’s Notice of Application filed with the Competition Tribunal can be found here. We previously wrote about Why Car Rentals Cost More Than Advertised: Avis And Budget Taken To Task By Competition Bureau and how Avis And Budget Agree To Pay $3m To Settle Drip Pricing Case. In those cases, the Bureau concluded that, when non-optional fees were added to advertised car rental rates, it was impossible to attain the advertised price when it came time to pay. Avis and Budget agreed to settle on the basis of an administrative monetary penalty and a promise to change their ways.